Tasco's integral 1 inch rings attach securely and quickly to standard Weaver bases with simple shop tools. 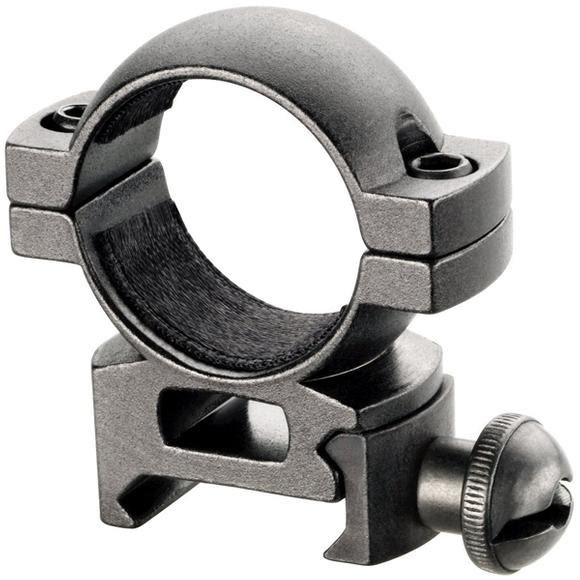 Special rings feature enough height to provide clearance for scopes with extra-large objective lenses. Matte black aluminum. Quick and easy. Tasco&apos;s integral 1 inch rings attach securely and quickly to standard Weaver bases with simple shop tools. Special rings feature enough height to provide clearance for scopes with extra-large objective lenses. Matte black aluminum. Quick and easy.